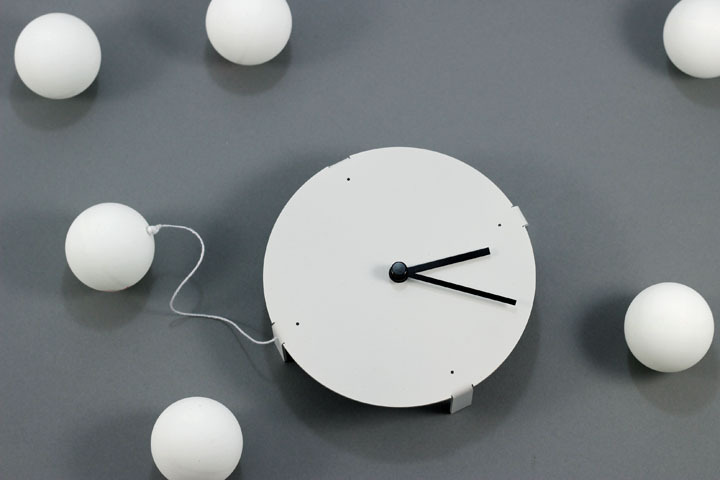 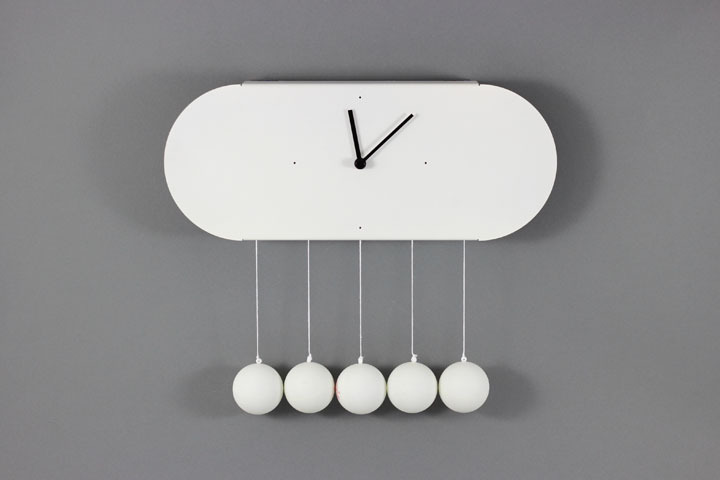 The TIK-TONG collection consists of two clocks that play with the typical image of a wall clock, measuring the passage of time with a traditional pendulum. 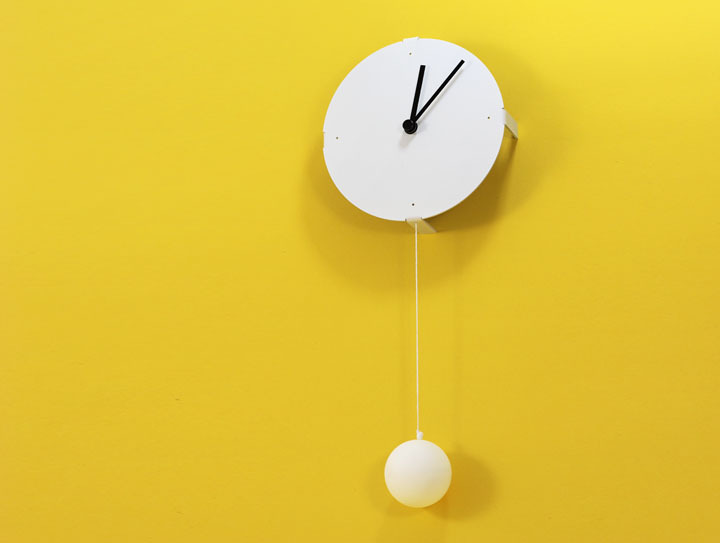 In each case, the pendulum has been replaced by a ping-pong ball. 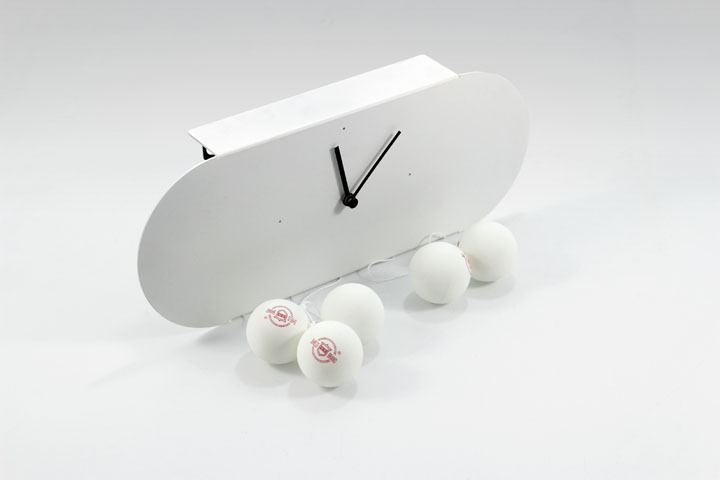 In the mini-version the ball bouncing off the walls taps out the rhythm, though it doesn’t match the one-second period perfectly, thus leading to the sound effect of time speeding up. 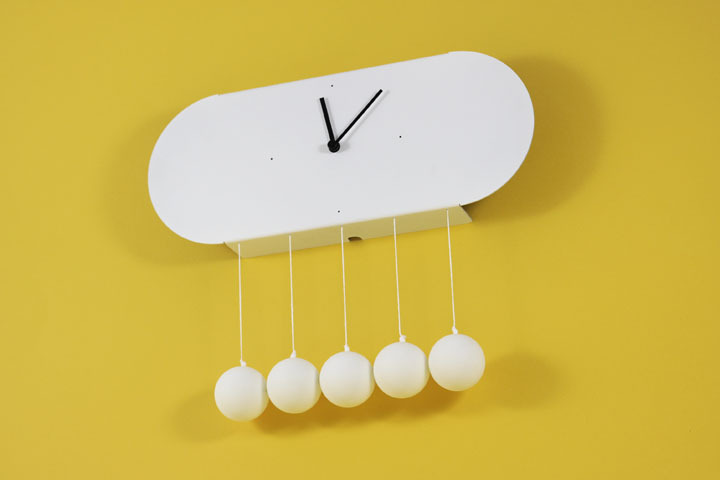 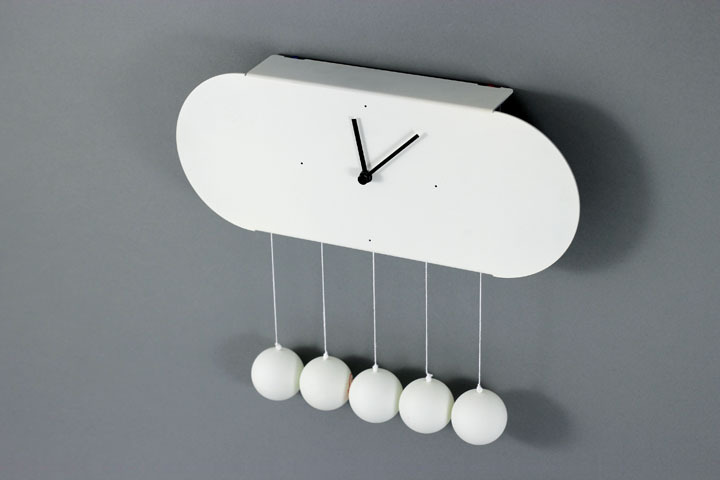 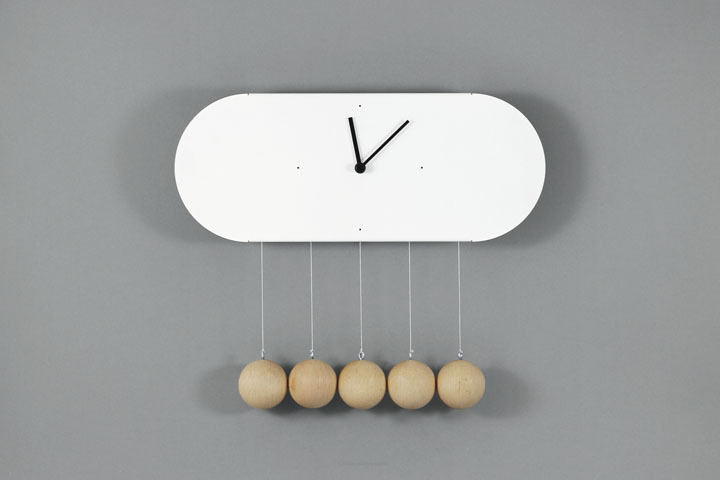 The second clock, with five balls, references the Newton’s pendulum, illustrating the law of energy and momentum conservation. 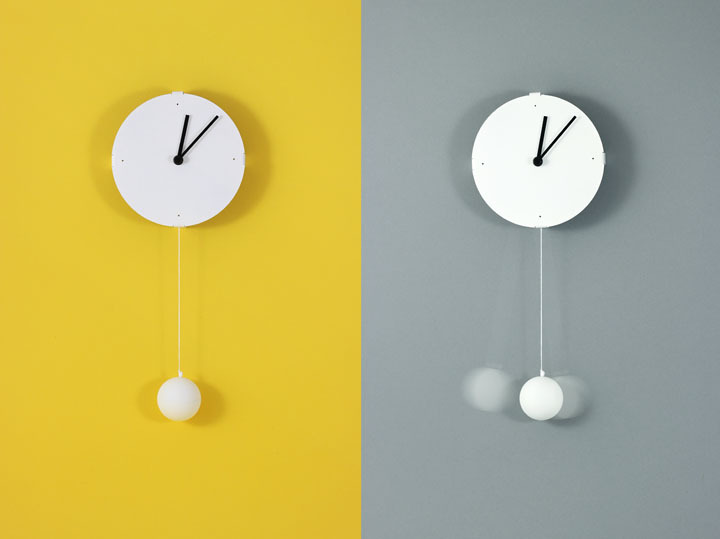 Each item comes with a short clip which, by using a loop effect, demonstrate the impossibility of a continuous, uniform motion of the bouncing ping-pong balls.